Friends’ Central School continues to remain at the forefront of cutting-edge Maker Education. At the World Maker Faire in New York City in September, Friends’ Central voices and projects were felt in multiple arenas. Lower and Middle School students and faculty gave a riveting multimedia demonstration of their State Fair project and their If the World Were a Village projects, and two Upper School students presented their show-stopping project – the RFiClimb, a wireless rock climbing wall with a scoring system that used RFiD and Bluetooth to show the climber’s progress – winning Best in Class and a number of Editors’ Awards. 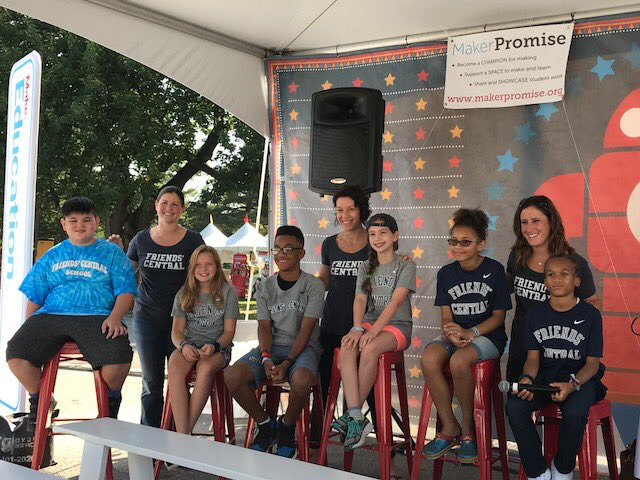 Brie Daley, Lower School Light Lab Director, shares, “I was delighted when I received word that we were selected to present at this year’s World Maker Faire. I know firsthand that our FCS students have plenty to share about the positive impact of Maker Ed.” Last year’s fourth graders shared their State Fair projects, which were created during their study of US geography in which they each chose a state to research and brainstormed a unique maker project to create in order to demonstrate their learning. Fifth graders shared the projects they made while reading If the World Were a Village in math, in which they used global statistics about education, age, religion, and other subtopics to develop a project plan that would both demonstrate what they learned and point towards solutions to global challenges and inequities. 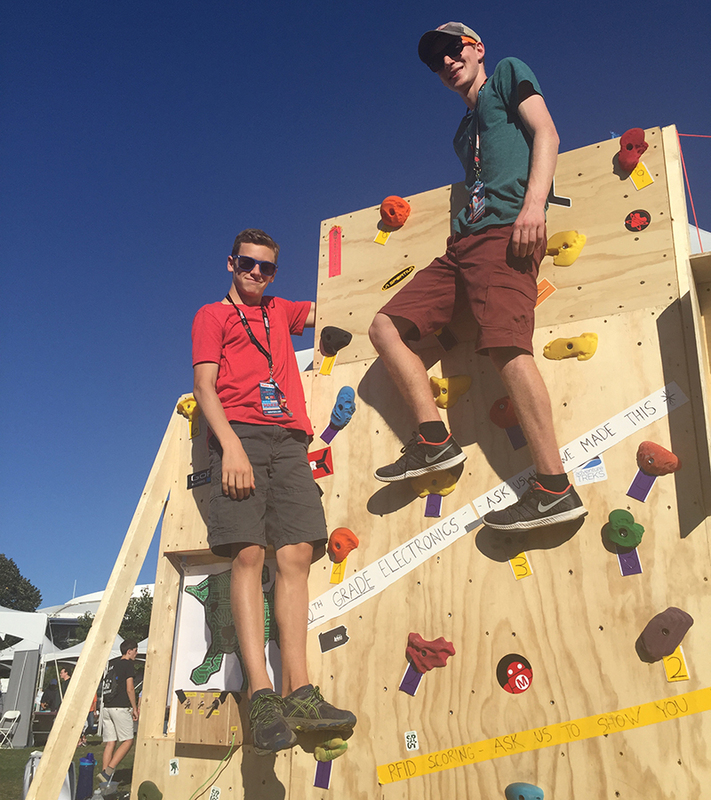 Click here to see Ben and Jonathan's RFiClimb in action at the World Maker Faire.